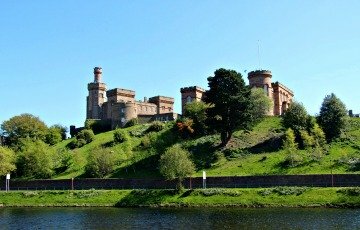 West End Musicals in Inverness for you to discover! This year Inverness is hosting many of London’s top west end productions! Your chance to see some amazing musicals and must experience shows. All the glamour of London’s west end is coming to Eden Court theater this year. You are spoilt for choice with magical musicals including Fame, Madagascar the Musical and Priscilla Queen of the Desert all appearing at Eden Court in 2019! The definitive 30th anniversary tour of Fame The Musical starring Keith Jack (Any Dream Will Do, Joseph and the Amazing Technicolor Dreamcoat), is coming to Eden Court from Monday 25th February to 2nd March 2019! Based on the 1980 phenomenal pop culture film, Fame The Musical is the international smash hit sensation following the lives of students at New York’s High School For The Performing Arts. As they navigate their way through the highs and lows, the romances and the heartbreaks and the ultimate elation of life. This bittersweet but uplifting triumph of a show explores the issues that confront many young people today: prejudice, identity, pride, literacy, sexuality, substance abuse and perseverance. Fame the Musical has seen seven West End runs since opening on Broadway in 1988 and continues to be one of the best loved musicals across the world. Featuring the Oscar-winning title song and a cast of outstanding dancers, singers, musicians and actors as they transform from star struck pupils to superstars. Fame The Musical will indeed live forever. The Magic of Madagscar the Musical comes to Eden Court from 9th to 13th April 2019!!! You can join Alex the Lion, Marty the Zebra, Melman the Giraffe, Gloria the hip hip Hippo and, of course, those hilarious, plotting penguins as they bound onto your stage in the musical adventure of a lifetime. Based on the smash DreamWorks animated motion picture, Madagascar The Musical follows all of your favourite crack-a-lackin’ friends as they escape from their home in New York’s Central Park Zoo and find themselves on an unexpected journey to the madcap world of King Julien’s Madagascar. Filled with outlandish characters, adventure galore and an upbeat score, Madagascar will leave audiences with no choice but to “Move It, Move It!” A fabulous show for all the family!! This fabulous comedy arrives at Eden Court on 2nd to 6th July to tell the story of when married hairdresser Rita enrols on a university course to expand her horizons, little does she realise where the journey will take her. Her tutor Frank is a frustrated poet, brilliant academic and borderline alcoholic, who’s less than enthusiastic about taking Rita on, but the two soon realise how much they have to teach each other. This hilarious and heart-warming comedy won the Olivier award when it was produced in London’s West End by the RSC and was adapted into the multi award winning film which starred Julie Walters and Michael Caine. Written by one of our greatest ever playwrights Willy Russell and starring one of our best loved actors Stephen Tompkinson as Frank and introducing Jessica Johnson as Rita. Tom Gates Live on Stage – these wonderful books come alive on the Eden Court Stage from 18th to 20th July. Based on the best-selling books by Liz Pichon, this brand new story of TOM GATES is brought to you by the award-winning team behind Horrible Histories and Gangsta Granny and for the first time ever it’s LIVE ON STAGE! Tom’s doing everything possible to stay out of trouble but somehow he’s got THREE sad faces on the school achievement chart! And getting another sad face means Mr Fullerman won’t let him go on the SCHOOL TRIP! Moany Marcus Meldrew is making things worse and now Tom’s annoyed his grumpy sister Delia. EVEN Amy Porter (who’s smart) won’t talk to him! Can his best friend Derek help? Will Rooster the dog stop eating his homework? Will his grandparents the Fossils ever make something he can actually EAT? 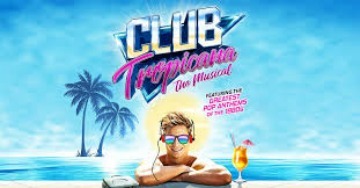 From the producers of the hit UK tour of Hairspray.Take a trip back to the electric 80s and embark on a summer of love and smash-hit classics. Hair was big! Shoulders were padded! Mobiles weighed a tonne! Set to a soundtrack of some of the most iconic, chart-topping acts from the 80s, including ABC, Cyndi Lauper, Frankie Goes to Hollywood, a-ha, Culture Club, Kenny Rogers and Dolly Parton, Bucks Fizz and Depeche Mode; experience their hits all performed live on stage, featuring: Girls Just Wanna Have Fun, Take On Me, Just Can’t Get Enough, Oops Upside Your Head, The Look Of Love, Making Your Mind Up, Relax, Islands In The Stream, She Drives Me Crazy, Don’t Go, La Dolce Vita, Surprise, Surprise , Church Of The Poison Mind, Fantasy Island, Up Where We Belong, I Could Be So Good For You, Fantastic Day and many more! 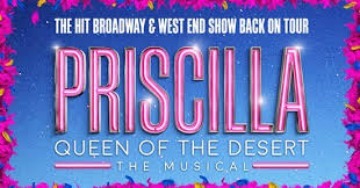 The iconic musical PRISCILLA QUEEN OF THE DESERT is coming to Eden Court, running from 18th to 23rd November! With more glitter than ever before, this smash-hit show features a dazzling array of stunning costumes, fabulous feathers and a non-stop parade of dance-floor classics including IT’S RAINING MEN, I WILL SURVIVE, I LOVE THE NIGHTLIFE and FINALLY! If you are you planning to take in a show at Inverness Eden Court Theatre or Inverness Ironworks? 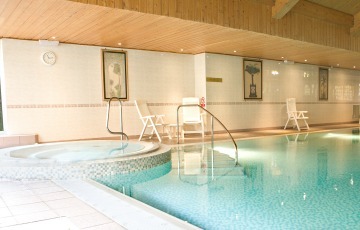 Then stay at the Best Western Inverness Palace Hotel & Spa, book your Inverness Showstopper break! Just over a 5 minute stroll to the biggest theatre in the Highlands or 10 minute walk to Ironworks for music and comedy shows. Showstopper Break includes a fantastic list of extra’s Welcome mini wine, 2 Course Pre-Theatre Dining to post show nibbles – you are guaranteed to feel looked after. 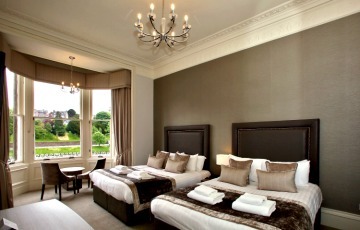 Priced from only £62.55 per person per night for 2 sharing a Classic Room for 1 night or more! Check your dates online for up to date pricing. Remember to make time to take a dip in the pool or a treat in the Spa. 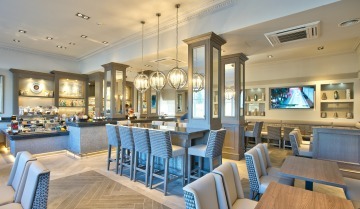 We hope to welcome you soon at the Best Western Inverness Palace Hotel & Spa. 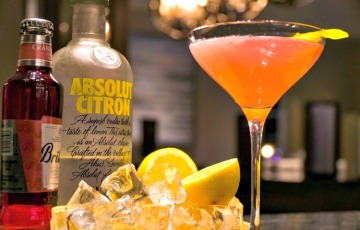 Call our reservations team on 01463 22 32 43 or email us at Palace and let the fun begin.